Maha Shivaratri is special day in the Hindu calendar for offering reverence to Lord Shiva. 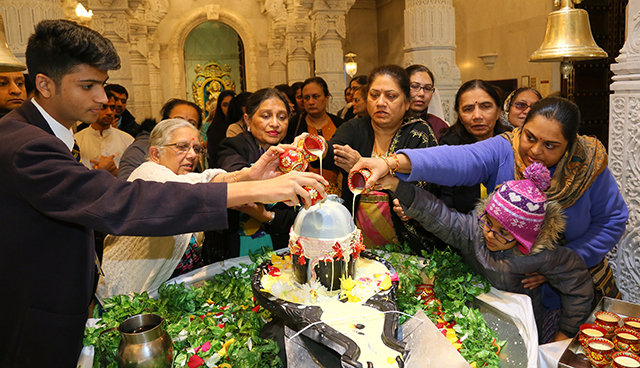 Devotees flock to bathe the shivaling – a representation of the popular Hindu deity symbolising his energy and potentiality – with panchamrut (a holy mixture of milk, yoghurt, honey, sugar and ghee) and to offer bilva-patra (bael leaves). It is also a day of fasting and chanting, while an annakut (offering of food) will be made to the deities in the shrine. ‘Shiva’, in Sanskrit, means ‘the auspicious one’. While the Destroyer aspect of the universe’s three stages of existence, he is often depicted as a yogi, adorning the symbols of simplicity and asceticism. 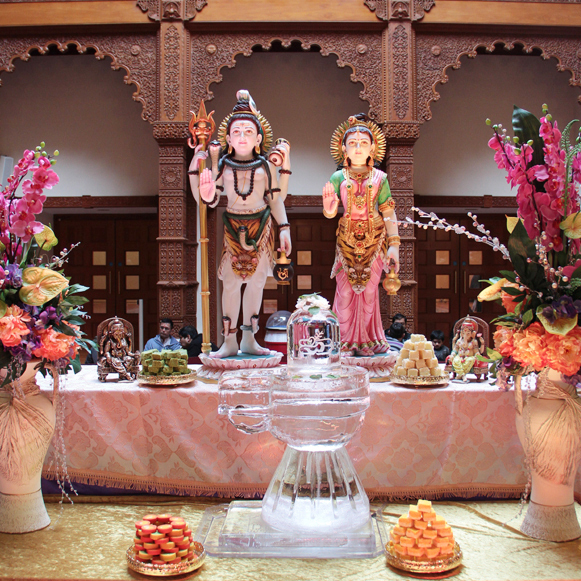 An ice shivaling, symbolising the manifestation of Lord Shiva, is presented in the Haveli entrance on the day of Shivaratri providing a reminder of the sacred pilgrimage town of Amarnath in India where a natural ice shivaling exists.